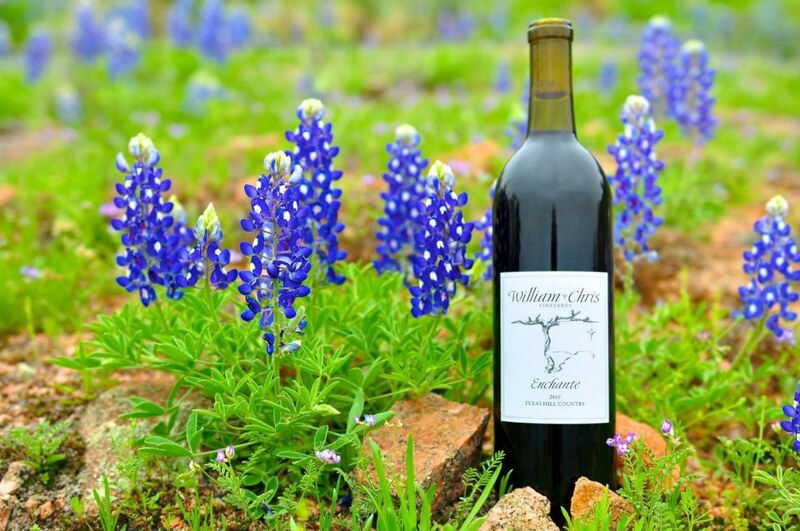 Texas Hill Country - The Next Napa Valley? 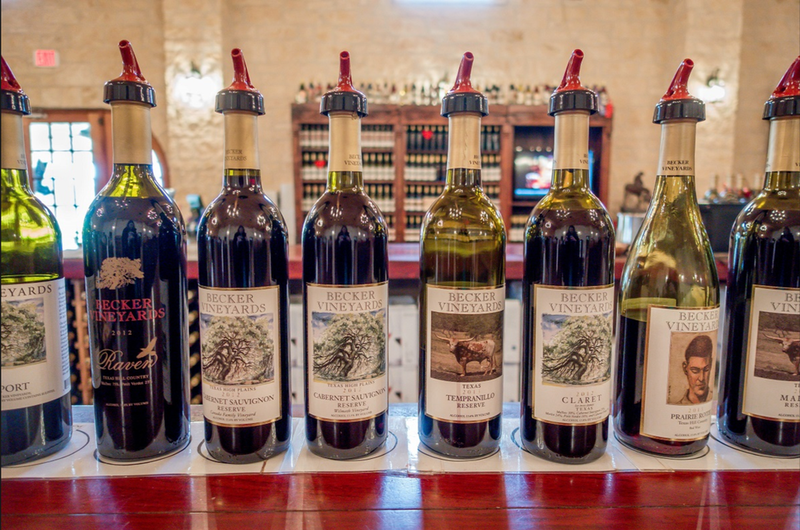 Fredericksburg, Texas is home to a countless amount of wineries, seriously there is no shortage! It is the second most visited wine trail in the entire United States. So just for fun I decided to highlight some of my absolute favorites to visit and my favorite glasses/bottles to take home with me! One of my favorites, the vineyard is gorgeous! 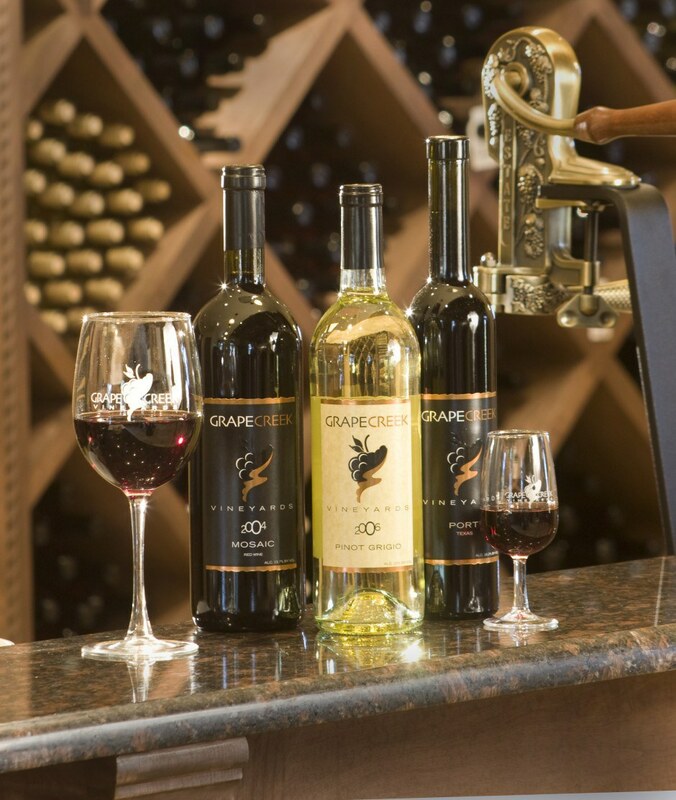 The winery and vineyard has a beautiful and romantic Italian Villa tasting room, where you can experience the feel of the “Tuscany in Texas”. My personal favorite from this winery was the Bellissimo, which is a “beautiful” Super Tuscan style red wine, with a captivating blend of Sangiovese, Merlot and Cabernet Sauvignon. I just recently visited this winery and I loved it! 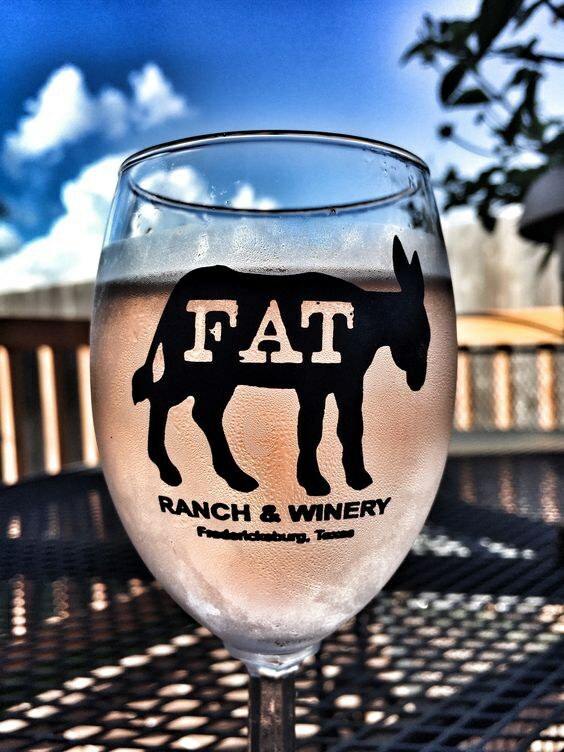 The tasting room resides in the heart of Fredericksburg where the Ottmers' family business was originally established. 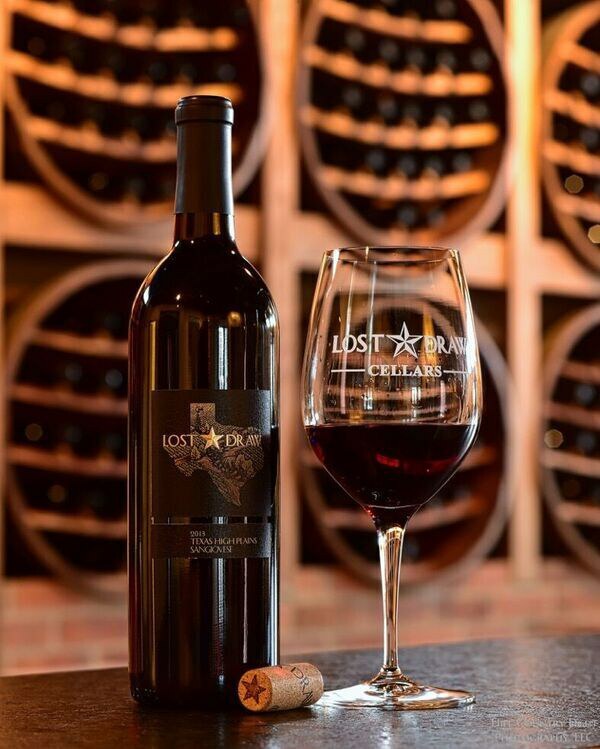 The Lost Draw team continues to strive to produce the highest quality wine that Texas has to offer, and is excited to invite you to enjoy a taste of Lost Draw Cellars. My favorite glass of wine here was the German Gemütlichkeit, which is difficult to explain (and pronounce). It is a phrase describing a situation that is cozy and induces a cheerful mood, peace of mind, and a sense of belonging. It's a blend of Grenache Blanc, Viognier, and Roussanne. Let's face it, we could all use a little more Gemütlichkeit! As if the name alone isn't a good enough reason to go and visit this winery, the environment and wines are also worth experiencing! The story behind the name of this winery is hilarious and it is very well known for its sweeter wines. While I, myself am strictly a red wine drinker, I cannot deny that these sweet wines are one of a kind!! My personal favorites are the Sangria Blanca and their Texas Red. I love Messina Hof! I am currently a student at Texas A&M University and I enjoy having one of these in my backyard, but their Hill Country location is beautiful! 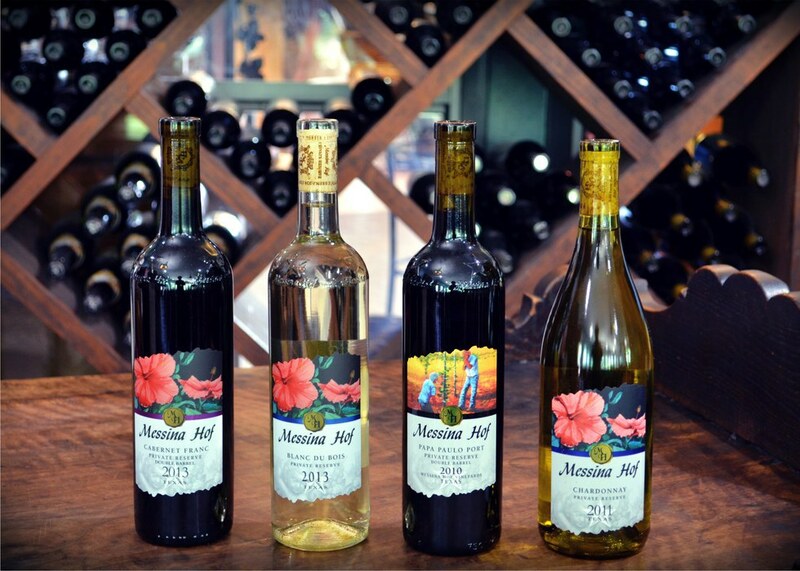 In 2011 Messina Hof Hill Country Winery opened its doors in Fredericksburg, the second largest wine tourism destination in the country. My personal favorite wines here are the Bonfire Blush (which is seasonal and an Aggie influenced label) and their Tempranillo, which is a red wine blend! This vineyard, located in Hye, TX; is one of the furthest from the actual town of Fredericksburg but it is SO worth the drive! Hands down one of my favorites, Aggie owned and operated, and the scenery and vineyard is gorgeous!!! My favorite glass I had from here was their Mandola Estate, which from what I have seen on their website, is no longer sold. I have one bottle left and am definetly saving it for a special occasion! Everyone should check this place out! This place is home to a couple of different wineries.. 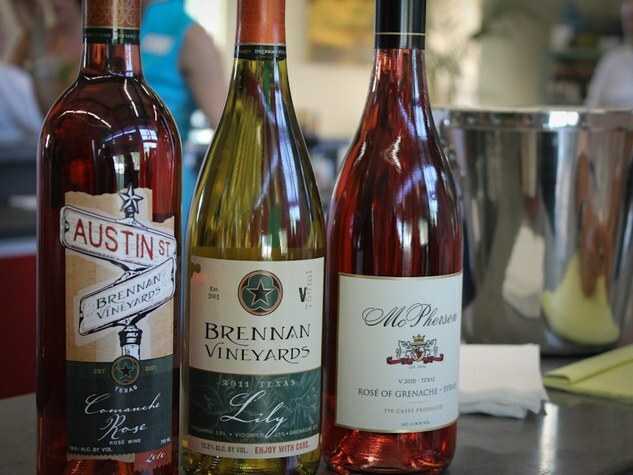 It hosts as a tasting room for Brennan Vineyards, Lost Oak Winery and McPherson Cellars. My personal favorite here was the Red 2015 Austin Street by Brennan Vineyards! I enjoyed this place, they had great food, wine, and an awesome scene with a live band and another open bar where you could easily get another glass of wine while enjoying the music and outdoors. The story behind this little winery is one of my favorites! It was started by a couple who shared a love for wine, the hill country and their German heritage. This winery is breathtaking and the wines are all amazing! You have to try their Chevaux Noir, which is a a blend of Merlot and Cabernet Franc, sorry y'all I know I keep recommending red blends but seriously, even people who don't like dry reds will enjoy a glass or two of this! 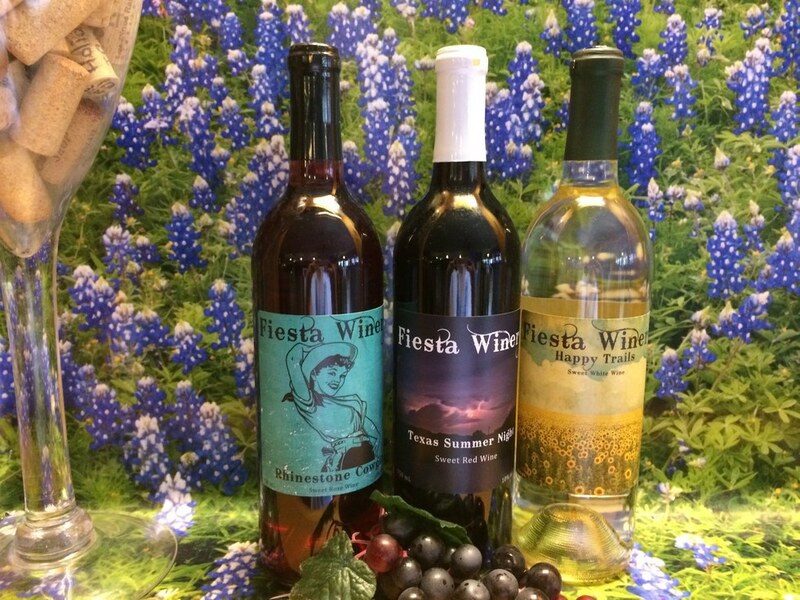 Fiesta Vineyard and Winery is nestled in the heart of the Texas Hill Country along the Colorado River. The ranch that it's located on has been in their family for six generations!! How cool is that?! You will never forget the experience you have at this winery, it's adorable! Try a glass of their Back Porch Sittin' which is a Semi Sweet Cabernet. Or for you white wine lovers, try their Happy Trails, which is a Sweet Chardonnay! Now I must admit, I have not personally been to this vineyard but I know people who have been and they adored it! I've purchased a couple of their bottles from stores they're sold in and have fallen in love and can't wait to personally visit!! Their Comal Red XIV, which is a semi sweet red wine is delicious and their Black Spanish, is to die for!!! (it's considered a dark red lenoir). Just a little reminder that I wrote this article for fun, I am in no way affiliated with any of these wineries! I am just a wine enthusiast and wanted to share with y'all some of my favorite wineries in Texas and which of their wines were my personal favorites! I hope that anytime you have the chance, you can make it out to at least one of these wineries because I promise you, you will NOT be disappointed! There are also countless others that I plan on making it to that I did not list in this article and y'all should also! High school put us in a box. I graduated with about 500 other students, so I guess my four corners were pretty big. By senior year, we thought that we had such control of our personality and destiny because of the seemingly vast experiences we had. However, we often forgot that we grew up beside these people, with few to none new faces. Everyone had their 'thing', whether it was sports, band, arts, or just being really academically gifted, everyone had a safe spot. A confined box of personality traits that were associated with their passion. I am not trying to put high school down in any way, I loved high school. I am more spectating how cool it was to have easily found a category that came with an identity. Because when you get to college, the box becomes spherical, a.k.a. the whole world is yours. I remember during primary recruitment in middle August of my freshman year, I was asked what my passions were. And since I was months out of high school, I instinctively answered the question by talking about my love for soccer and memories from cross country. Obviously, I could not answer this for the rest of my life since the older I got, the farther away from my glory days I was. 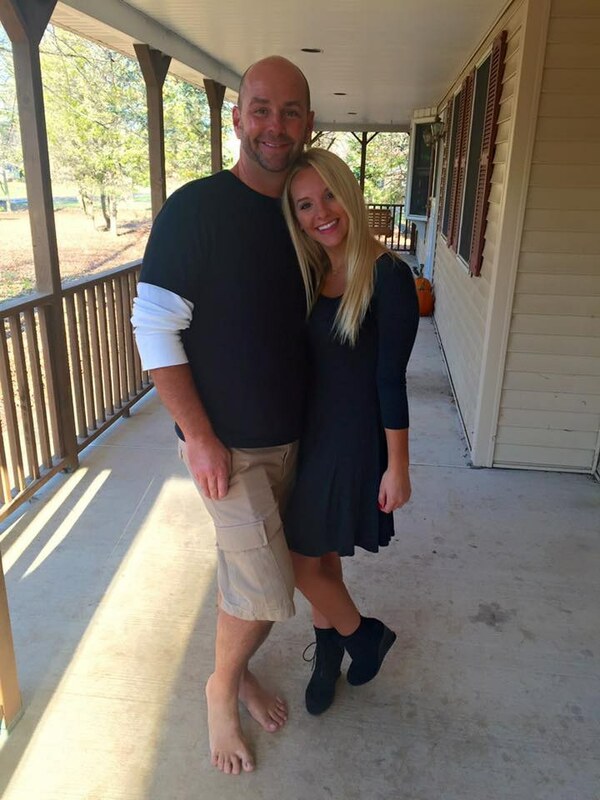 Luckily my dad had shown me that I could go on runs without having to chase a ball or to be on a team. Every morning during freshman year, I got up and explored on foot. That routine carried over to sophomore year and I was excited to find three other women in my house that had a burning itch to go for a run. I am constantly asked why I run or how I do it. And honestly, I do not run for physical health reasons. Yes, I want my heart to be stronger and I hope to live a long healthy life, but I do not train for running yearly races, or to increase my speed, or to decrease my time. Being a health nut is far from my vocabulary and I have lots of things to prove it. Chicken tenders are my favorite food and I can eat chips and salsa like they are the main course at Mexican restaurants (feel free to fact check that with literally anyone!) Running is my new safe spot. People often say that I am crazy for going on daily runs, but I think that running keeps the crazy away. My mental health is pretty strong and I attribute that to running. Something about the combination of fresh air and sweating it out makes my problems not feel so big. For me, going on runs are catalysts for idea generating, solutions to mentally solving any problems, space from living in a house with 60 women (love you all so much), and my personal favorite: endorphins. People always comment on how they would never run every single day or that running is not for them or that they cannot understand why I like to run. I know that they are just making conversation and not intentionally putting me down, however, sometimes I feel like I have to defend myself. So I have thought about it and come to a conclusion. Running cures all my bad moods and reduces my anxious mind. Concentrating on productivity, being a kinder human, and having an abundance of patience is all because of a little vitamin D and a lot of salty sweat. I am so fortunate to have found a recipe that is so simple to help me get on top of my life and destress from the hectic day. I genuinely hope that everyone finds the formula to keep away their gray days, and if anyone is inspired to go for a short jog after reading this, come find me and I probably already have my running shoes on.